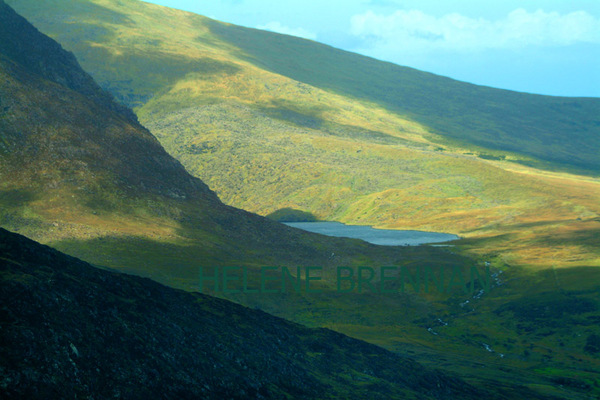 Loch na Lice, one of the many beautiful lakes, seen from the Conor Pass, near Dingle. The Conor Pass is the highest mountain pass in Ireland, and has some of the most stunning views one might ever see. The road is not suitable for buses or other large vehicles, and in the busy summer season the narrow winding road with overhanging rocks is somewhat challenging. It's occasionally closed in icy weather in winter.